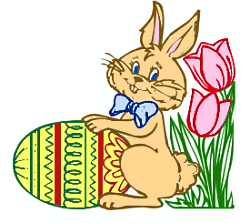 The St. Paul Men’s Club Easter Egg Scramble, is on Easter Sunday, April 21st. This fun-filled event takes place on the school football field directly after 11:00 AM Mass. This year for the smaller children ages 8 and below, we are only allowing one adult or family member to help collect eggs with the minor child. The Easter Bunny will be present for photos. Application Deadline is Saturday May 4, 2019. Deadline for application: Saturday, May 4, 2019. The White Rose Golf Classic committee proudly announces it has raised $39,000 this year to assist the White Rose Women’s Center of Dallas. We would like to thank everyone who played and/or donated their time, talents, and treasure for a great cause this past Friday. The weather was great and the fellowship was greater, making for a very successful day of fundraising for the White Rose Women’s Center. More 2018 White Rose Golf Classic photos. 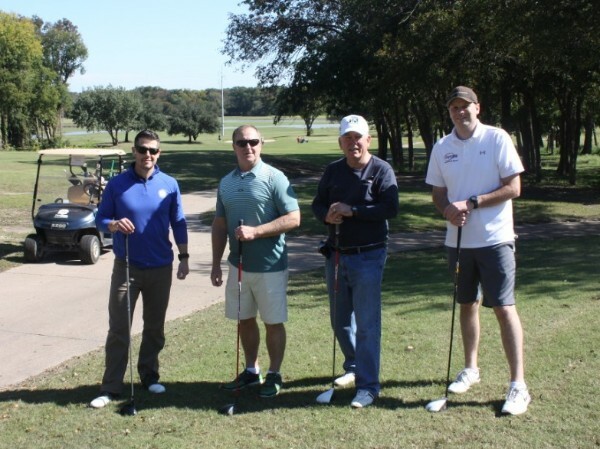 We had 100 golfers enjoy a wonderful round at Firewheel Golf Park, along with numerous activities such as putting contest, hole-in-one competition, raffle, auction and banquet. We also had dozens of volunteers (beforehand and on the day of the event) who made the day a huge success! and dozens of Hole Sponsors!! Still interested in supporting the White Rose Women’s Center? Click the link below to donate on-line. Again, thank you to everyone who helped make this event a success! $41,000 raised for the White Rose Women’s Center!! Chris DeGarza, Richard Kaniss and Rudy Perez review one of the new sonogram machines purchased with proceeds from the 2017 White Rose Golf Classic with the Director of the White Rose Center. 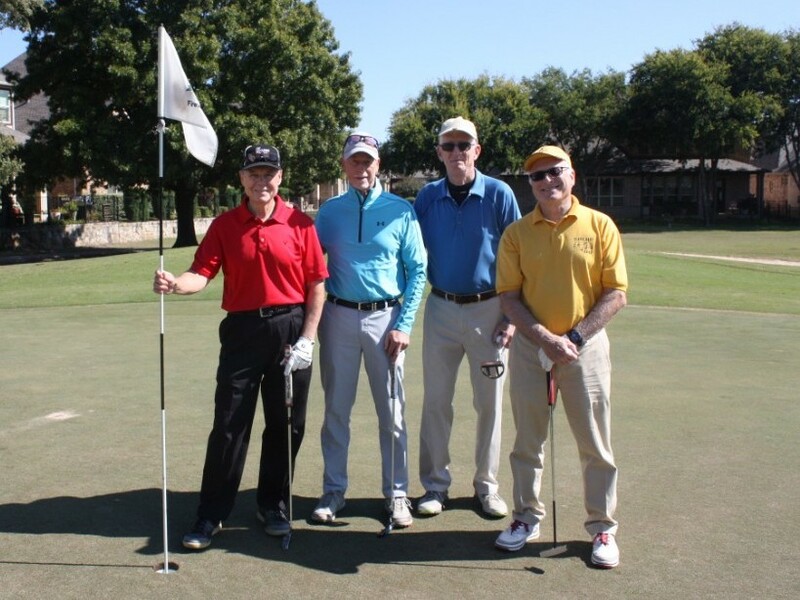 RICHARDSON, Texas [Nov. 29, 2017] — The 2017 White Rose Golf Classic raised more than $41,000 — a record for this annual event now in its 16th year. The charity golf tournament, hosted by organizations from St. Paul the Apostle Catholic Church, benefits the pro-life mission of the White Rose Women’s Center operated by the non-profit St. Joseph’s Helpers. Proceeds from the tournament and other fund-raising efforts will be combined with a generous matching donation from the Knights of Columbus Ultrasound Initiative, providing a total of $75,000 to sponsor the purchase of two ultrasound machines for the White Rose Women’s Center. White Rose offers confidential and free counseling about pregnancy, adoption and abortion at three locations in Dallas. The new ultrasound units, featuring the latest technology in 2D, 3D and 4D imaging and picture quality, ae now in use as part of the free health services available at White Rose clinics. More than 100 golfers and more than 60 sponsors participated in the mixed four-person scramble event at Firewheel Golf Course on Oct. 20. This year’s fund-raising total far exceeded the previous record of $32,000 set in 2016. 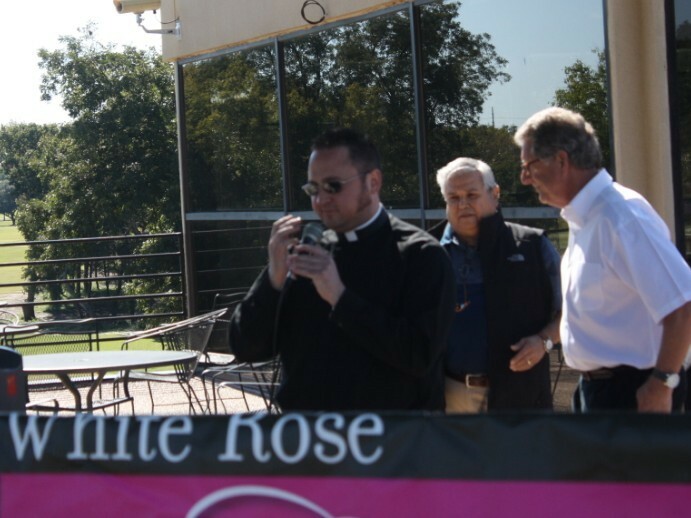 Each year, this pro-life tournament provides significant funding for the White Rose Women’s Center in Dallas, which provides counseling and support to women with unplanned pregnancies so they can choose life for their babies. The tournament was started in 2001 by the St. Paul Men’s Club and has expanded to include Knights of Columbus Council 12021 and several other organizations at St. Paul’s. It was branded as the White Rose Golf Classic in 2012, and over the past 16 years the event has raised more than $210,000 for the White Rose Women’s Center. The Knights of Columbus, the world’s largest Catholic men’s service organization, established its Ultrasound Initiative to equip medically certified pro-life pregnancy care centers with modern technology that will enable expectant mothers to see and hear their babies in utero. 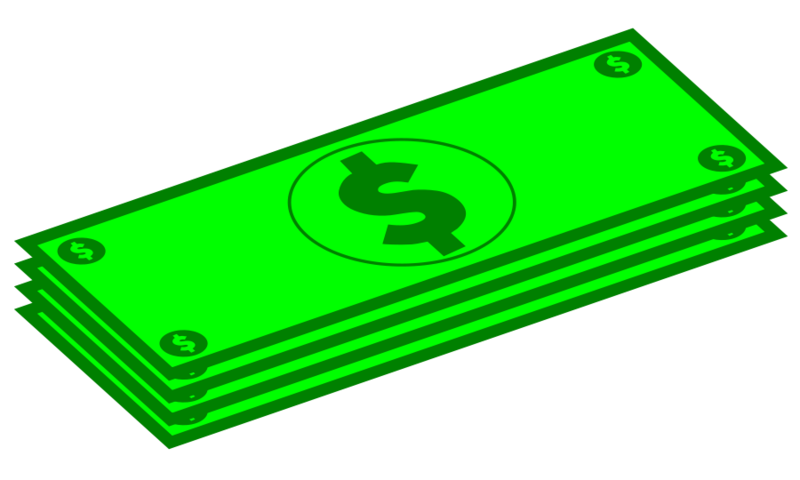 When a state or local council raises half of the cost of the ultrasound machine, the Supreme Council matches it so that 100 percent of the cost is covered. To promote fraternity and fellowship within the SPMC and throughout the entire parish, and encourage spiritual development of the members of the SPMC. The SPMC will accomplish these goals by maintaining programs focused on: promoting Christian family values, improving father-child relationships, and providing opportunities for fraternal bonding through parish and family socializing and support the St. Paul the Apostle Catholic Church Parish through charitable activities.